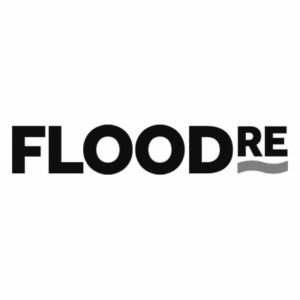 Flood Re is a unique offering, a government-backed flood reinsurance scheme, set up to help households who live in flood risk areas find affordable home insurance. Flood Re had traditionally taken a very corporate approach to its communications strategy, but ahead of the launch of the scheme in April 2016, BECG was appointed to use content expertise to create compelling consumer collateral, drive awareness of Flood Re and create a pull demand from homeowners and tenants to contact their insurer to gain access to lower cost insurance. Based on intelligence from the client, we conducted a content audit assessing the organisation’s existing collateral and how it could be reworked to better connect with consumers. A design and messaging overhaul was required as previous content was industry focused. New consumer design treatments were created and applied across a new website, consumer leaflet and social media assets and we created a full social media strategy to fit Flood Re’s needs. A detailed content plan was created with clear influencer mapping and engagement. We also developed pro forma responses ahead of launch, pre-empting the kinds of questions we might be asked so we had approved replies ready to respond to ad hoc queries in a timely fashion. As well as the online approach, we also developed an offline strategy to reach out to the various partners, groups, water agencies and regional councils affected by flooding. Since launch, activity has been focused on maintaining momentum with the content delivery across social media and we have recently launched a Flood Re Local Hero scheme to identify individuals or groups that have gone above and beyond in the event of a flood situation.